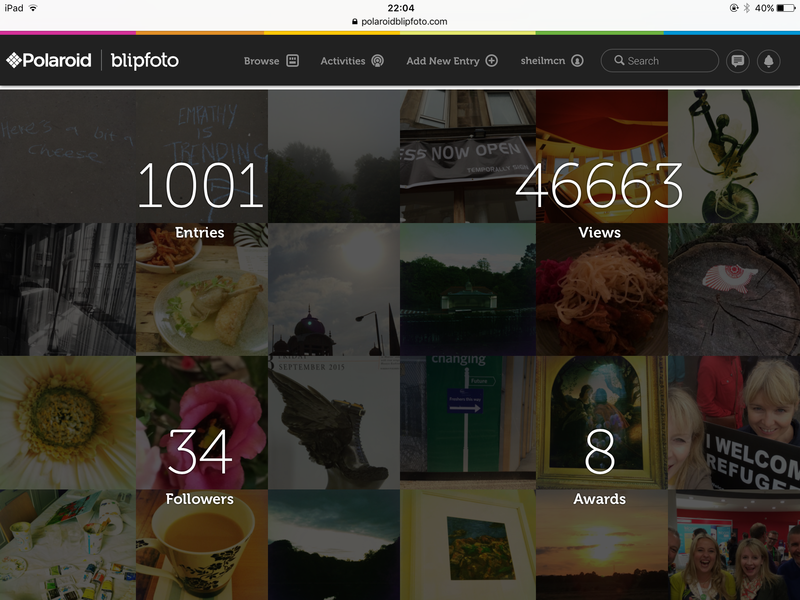 For the last 3 years I have been sharing a photo a day on the Blipfoto site. Last year I missed one day, the year before 3 or 4, so I am determined to post everyday this year. Yesterday I reached a bit of a milestone publishing my 1,000th blip. I really like the site, despite some uncertainty over the direction of the site when it was bought over by Polaroid, it doesn’t seem to have changed much. I like that i connect with a different set of people than on other social media sites. It feels more meaningful that Instagram, which I like and use too but it seems a bit more instant. A blip feels like it has a bit more longevity. Anyway hopefully I’ll make 365 this year and maybe even get to the next 1,ooo one day.